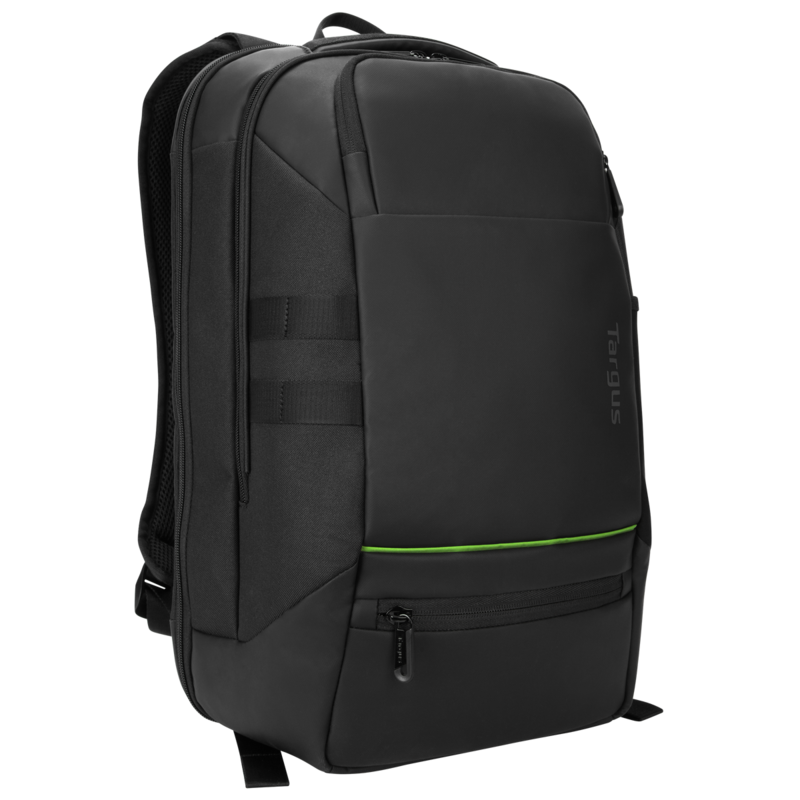 Earth-sensitive materials combine with an ergonomic design in this backpack, which also features protective details that deliver strong protection for your work gear. 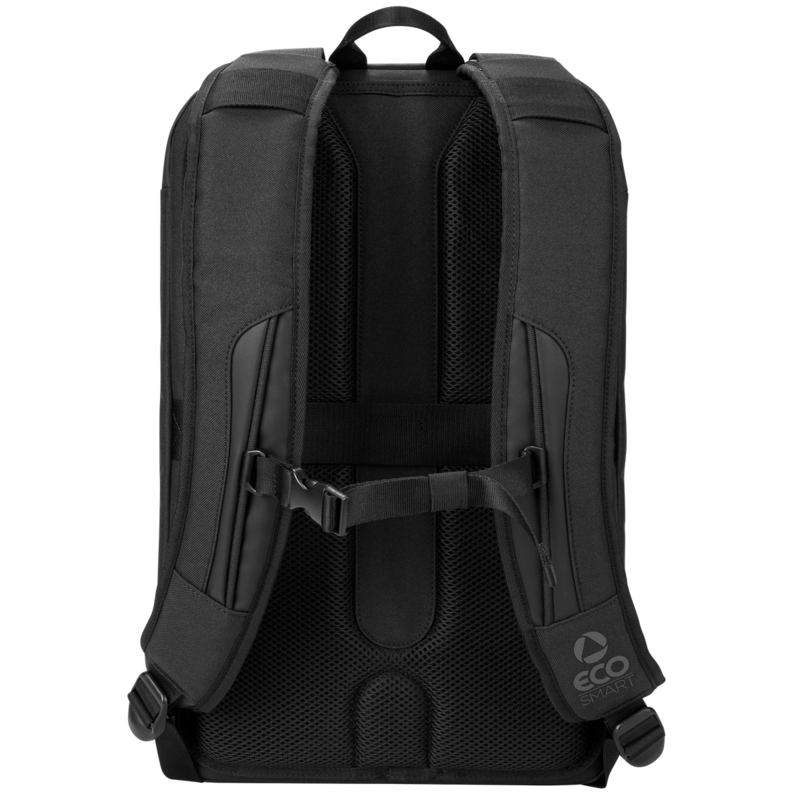 The Balance™ EcoSmart® Backpack has advanced ergonomic design for maximum comfort, with adjustable features that help distribute load evenly and helps to reduce fatigue from long-term wear. 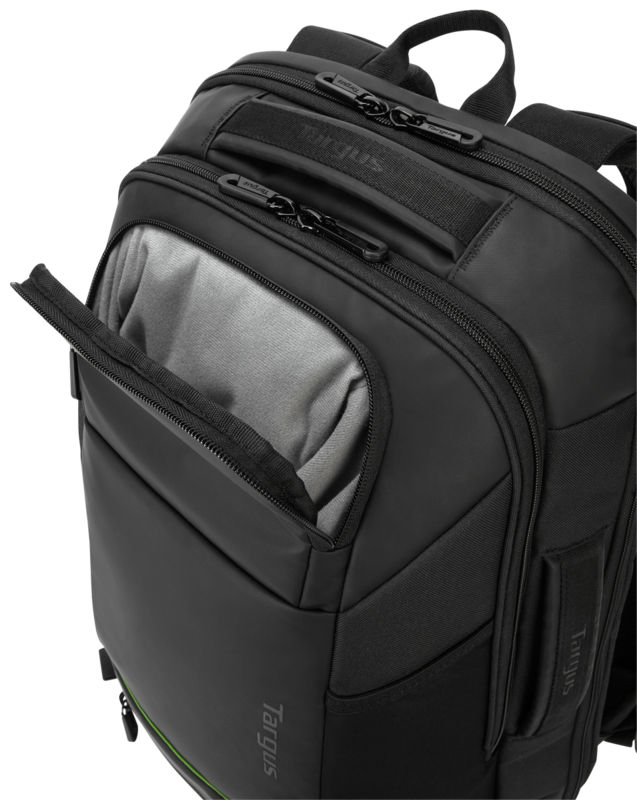 Its PVC-free fabric is woven from recycled water bottles, its hardware is nickel-free, and its zipper pulls are recyclable. 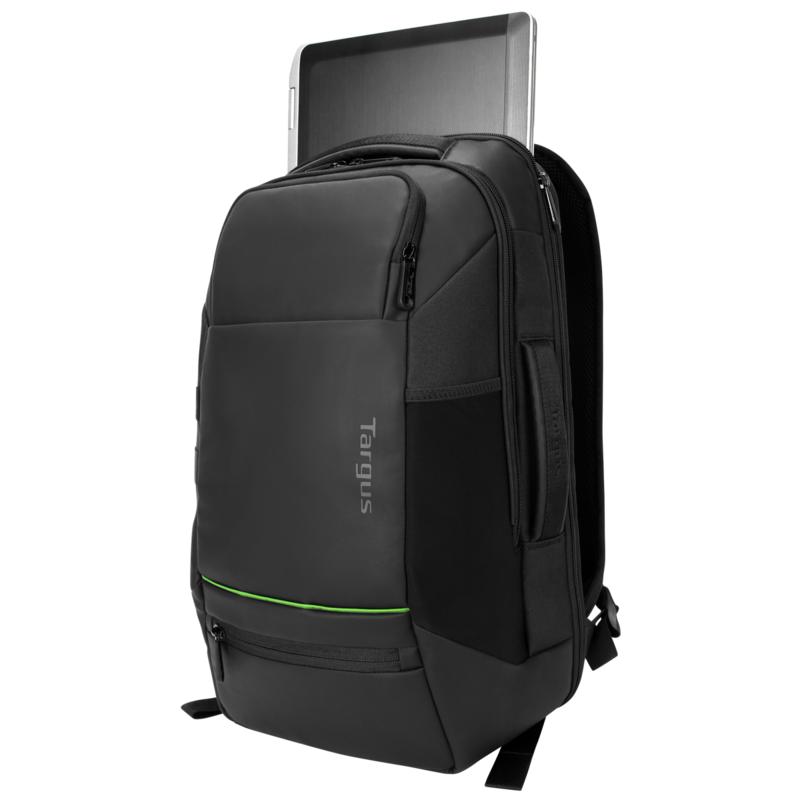 The Balance backpack boasts enhanced protective elements like the SafePort® Sling Plus, which suspends your laptop inside the pack to help protect it from drops, plus padding on both the side and front of the device for additional protection. 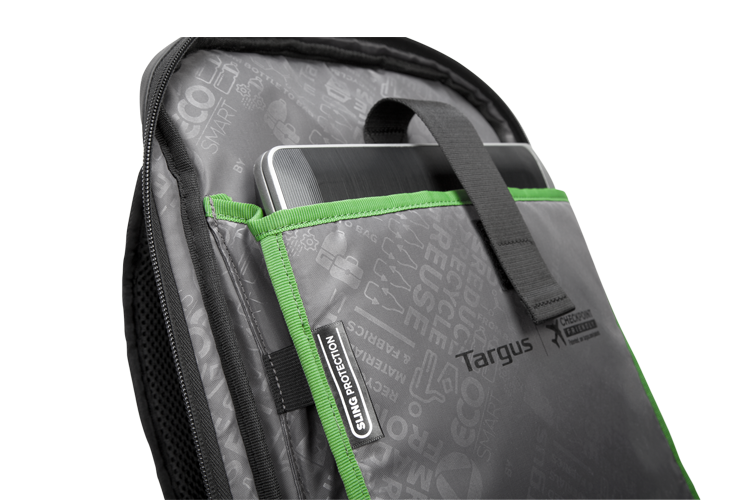 Weather-resistant materials also fare well against the elements to help keep your devices, paperwork, and business cards safe. 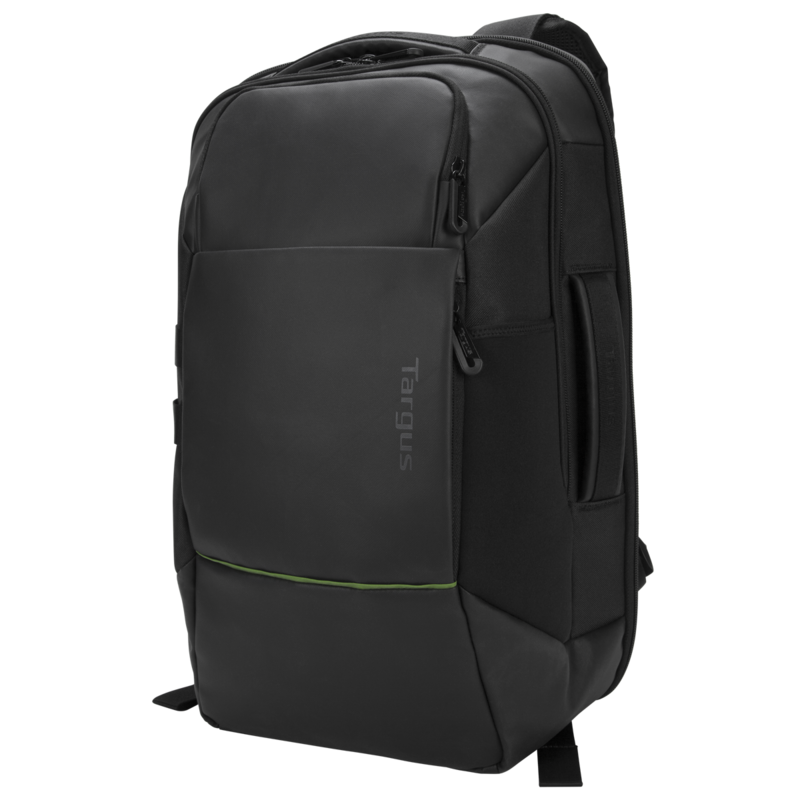 This pack’s purposeful design helps you commute from office to home with ease. 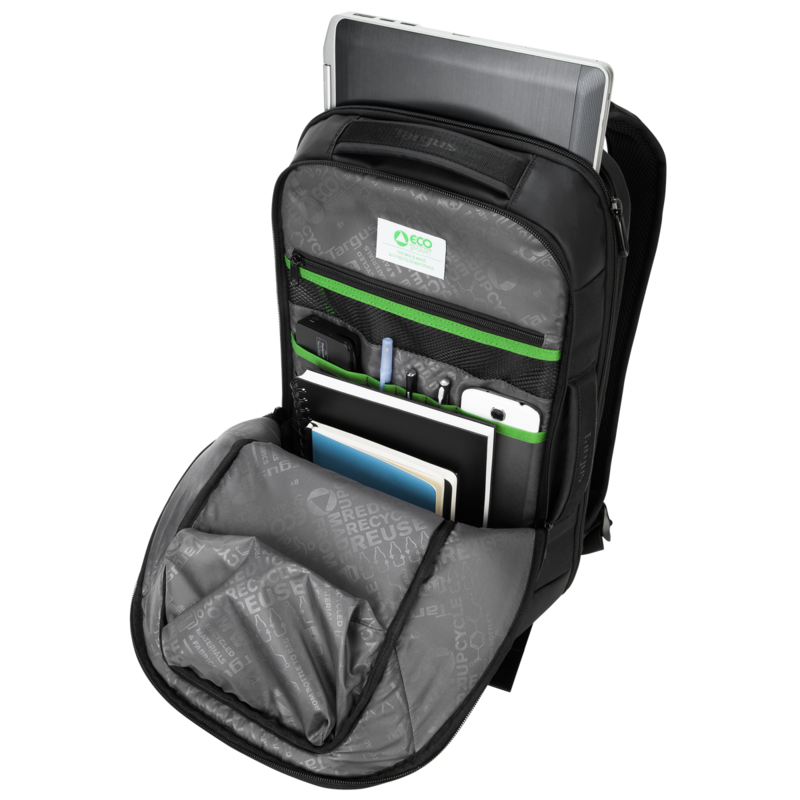 Strategically placed pockets organize your accessories in the workstation and a large compartment at the bottom of bag is the perfect place to store your power brick. 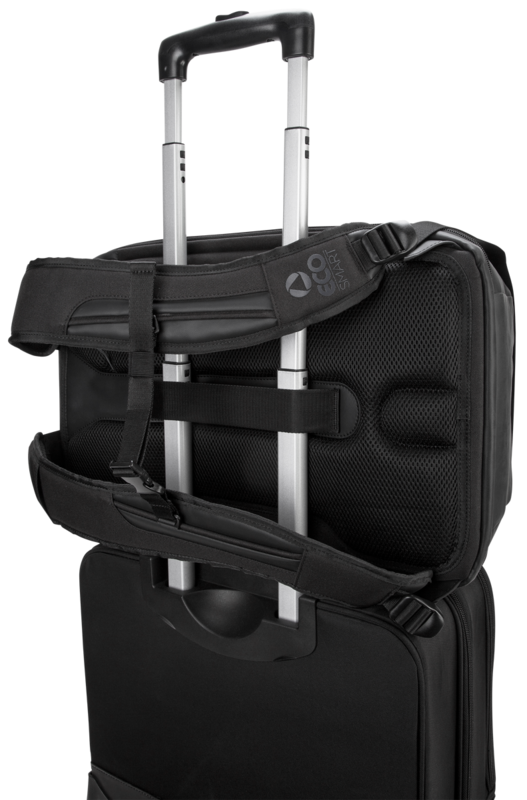 And for busy commutes on the train or a squeeze through a narrow aisle we’ve put a handle on the side so the pack will easily fit into tight spaces. On the journey from bottle to bag, plastic water bottles are first shredded into small flakes. Those flakes are re-polymereized into plastic chips that are then heated and spun into yarn. 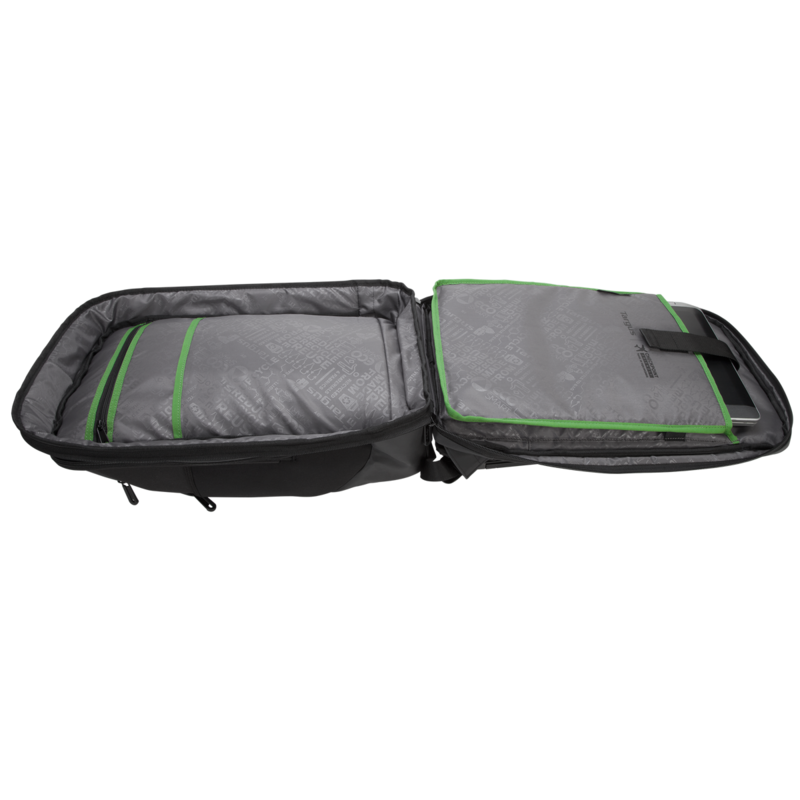 Finally, that yarn is stitched and sewn into the fabric of our EcoSmart bags. 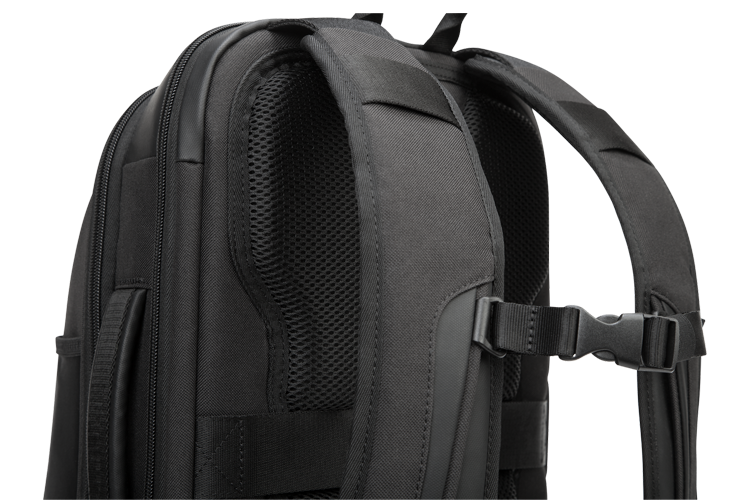 Minor drops and bumps are no problem for this backpack. 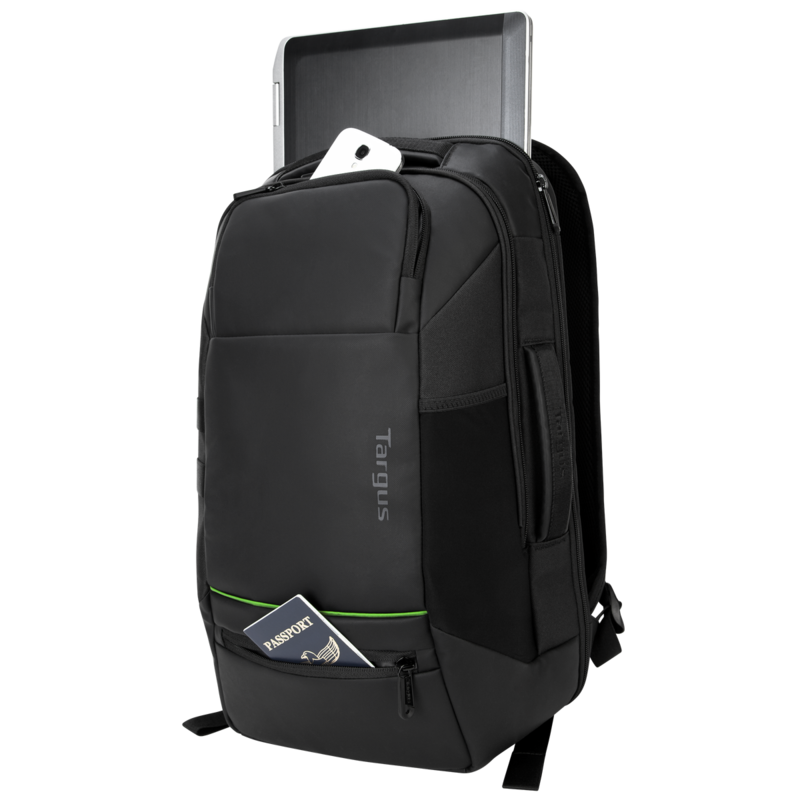 Its SafePort® Sling Plus safely suspends your laptop in case it’s dropped. 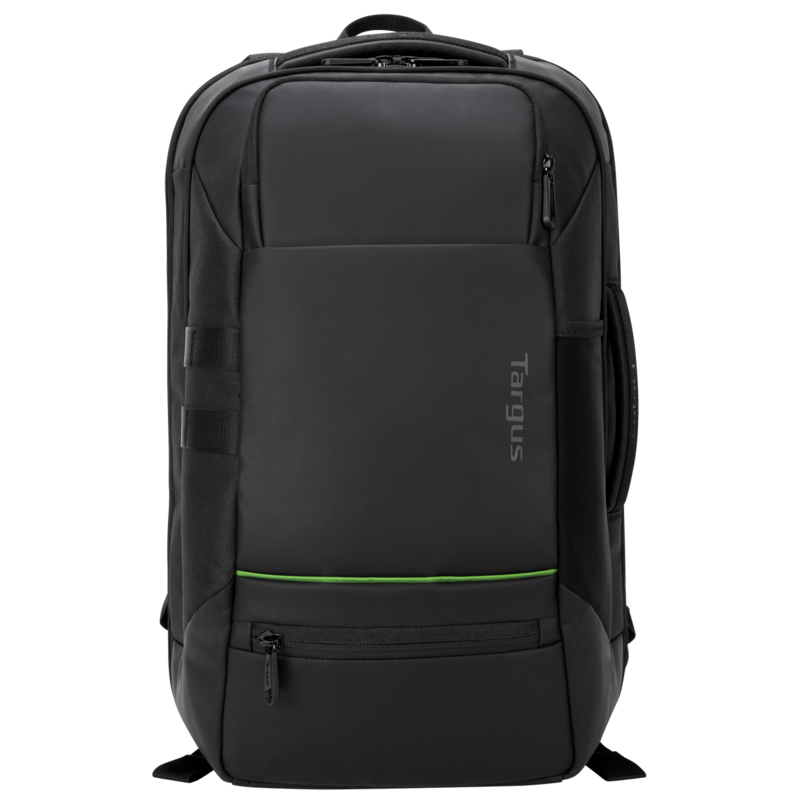 Plus, Targus-quality foam provides front and side protection. 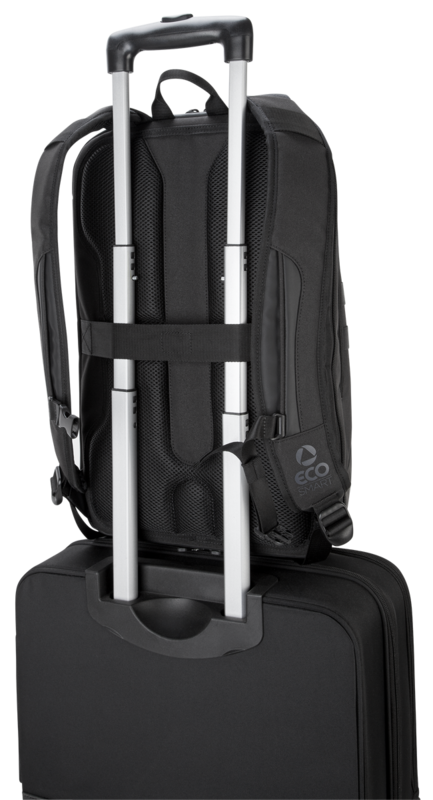 The Balance™ EcoSmart® stands on its own — literally! 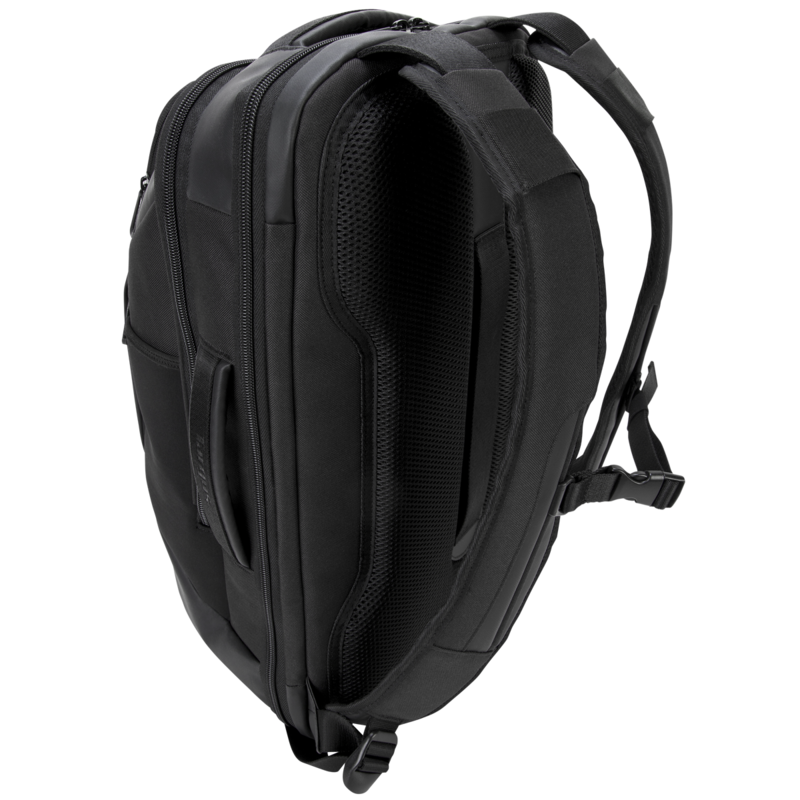 This pack’s layered design and structural piping keep the bag upright wherever you set it down. 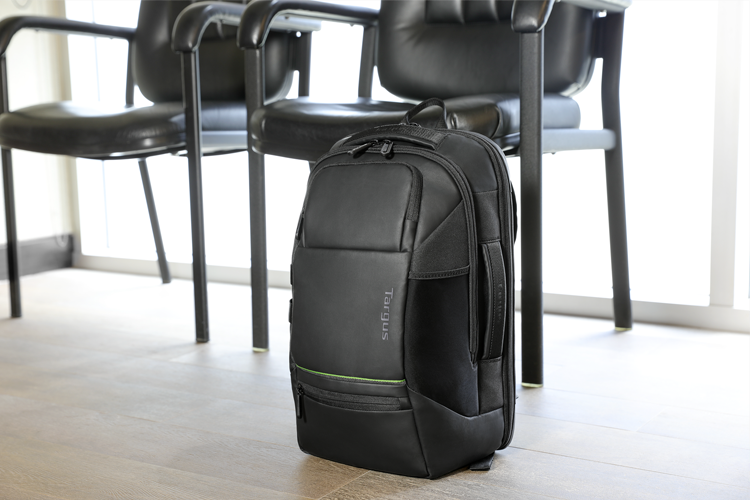 That way, it’s easy to reach your gear and still looks sharp as it stands tall in client conference rooms and board meetings alike.